A famous archaeological and historical center, this country is increasingly becoming more popular with tourists. The majority of places of interest in Qatar are connected with archaeological findings. Doha suburbs are the location of a very famous place - Al Zubarah Archaeological Site, a UNESCO World Heritage Site. In the 18th century this area was a blooming and prosperous city with the same name. The age of that city was over a thousand years. A big fort remains the main symbol of Al Zubarah. Nowadays, the fort is used to hold the collection of the Regional Museum and all of its items are dedicated to the history of the country. Archaeological excavations continue even these days, so the collection of the museum regularly gets new items. During the medieval era, this city was a prosperous one thanks to pearl diving. There are some ancient ruins near Al Zubarah, so tourists can see remains of ancient protective facilities, as well as burial mounds that appeared here yet during the prehistoric era. Umm Salal Mohammed Fort is one more interesting landmark that is located in the vicinity of the capital of Qatar. This is a moderately-sized white building with a small mosque standing nearby. Both the buildings have retained the atmosphere and charm of past days and look spectacular with azure coastline on the background. Until the 7th century, on the territory of Qatar, there had been separate state systems that later became a part of the Arab Caliphate. The development of the country was greatly influenced by Bahrain, under which it had been in the 8th-9th centuries. In the first half of the 16th century, Qatar saw the colonial period. The Portuguese were interested in its territory. However, Europeans could not strengthen their positions in these lands. Shortly after their arrival, the entire territory of Qatar came to the Ottoman Empire. 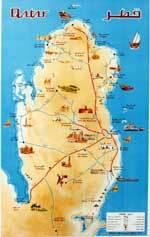 After its collapse, Qatar had been independent for several years and then was forced to become a British protectorate. The country was absolutely independent in 1971. Among the countries of the Arab world, Qatar is considered as one of the most transparent and friendliest ones in respect of the tourism. Travelers come here to enjoy beach entertainments and shopping. They will have an opportunity to diversify their leisure with more interesting entertainments, for example, camel racing or desert safari. Fans of exotic recreation will be definitely impressed by desert trips that go hand in hand with visiting the Bedouin settlements. Beaches located in the Persian Gulf are considered the most beautiful in the world. They are distinguished by crystal clear water, so they attract fans of diving. It will be very interesting for experienced divers, as well as those who have just learned the basics of this sport, to vacation here. At the coast, there are the most top-rated hotels and entertainment centers. 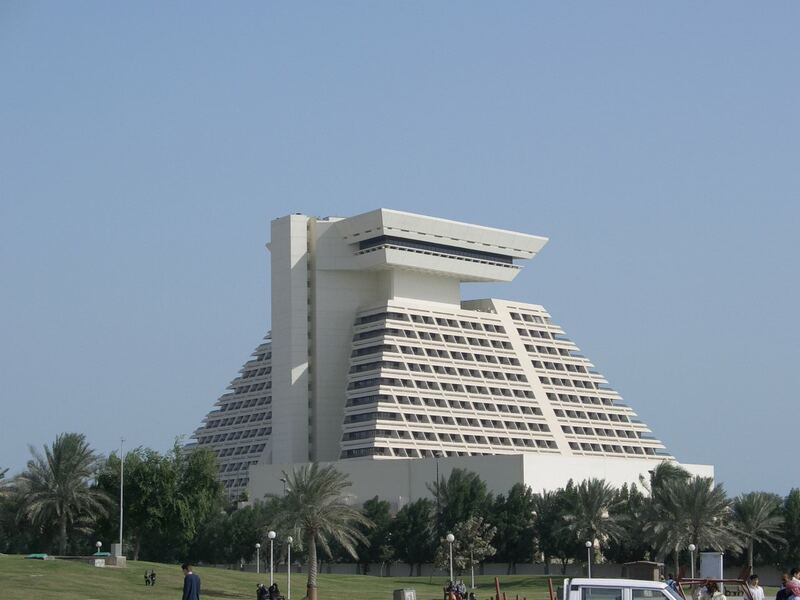 As the tourist sector has started developing Qatar relatively recently, the prices at local hotels are quite reasonable for thrifty tourists. Shopping enthusiasts come to Qatar for inexpensive golden accessories and amazing fabrics of the local production. The attractive prices of golden accessories are explained by the fact that gold of lower grade is used for them. Despite this, all the items have a worthy quality. It will be also interesting to walk along local shopping malls and look for high-quality textiles. Many tourists prefer buying souvenirs on the market, as there are not only craft items, but also popular Arab spices and sweets. On the market, there is also a huge choice of jewels but you should pay a greater attention to their quality. This article about iconic landmarks and sights of Qatar is protected by the copyright law. You can re-use the content, but only under the condition of placement of an active link to www.orangesmile.com. 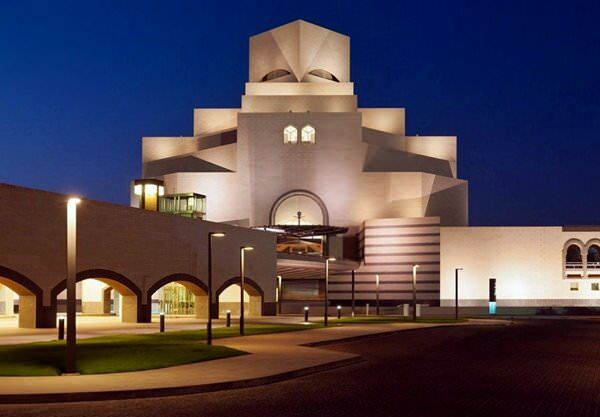 Located in Doha, the Museum of Islamic Art is a cultural landmark of world significance. It is situated in a large and incredibly beautiful modern building, which is considered as a true monument of modern architecture. The exposition of this museum includes an interesting collection of glass and ceramics products, and also jewelry. The age of some exhibits is more than 200 years. 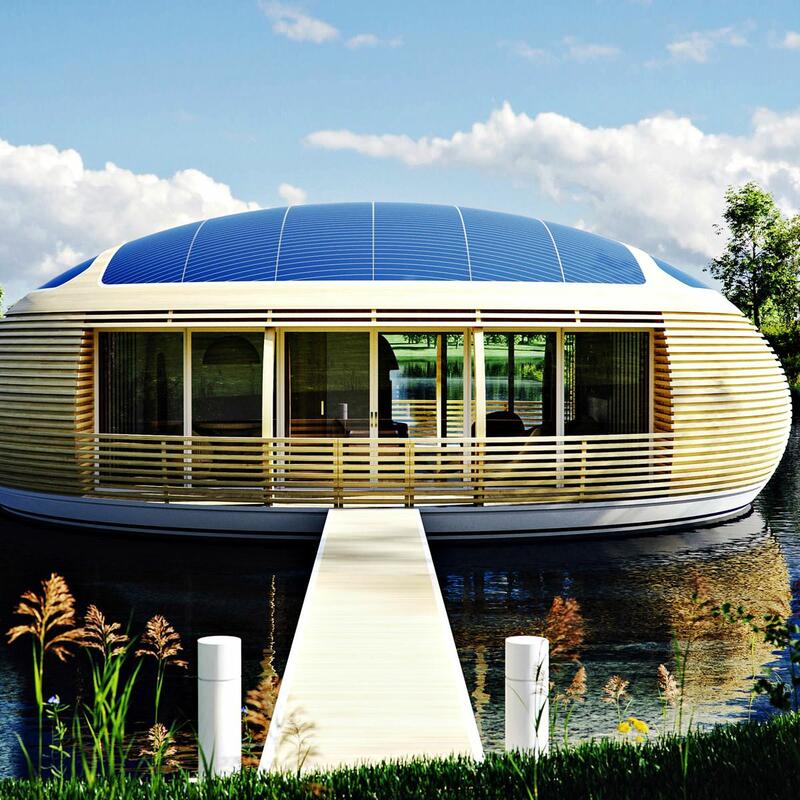 The author of the project of a floating house, which consists 98% of the secondary raw materials, is a world-famous architect and designer Giancarlo Dzema. Built on his project, the house promises to be absolutely safe for the environment. If necessary, 98% of the building material can be recycled. According to the idea, similar houses on water can provide housing for thousands of people in the event of an increase in the world ocean level.